hd00:30Preparation of vegetable salad. 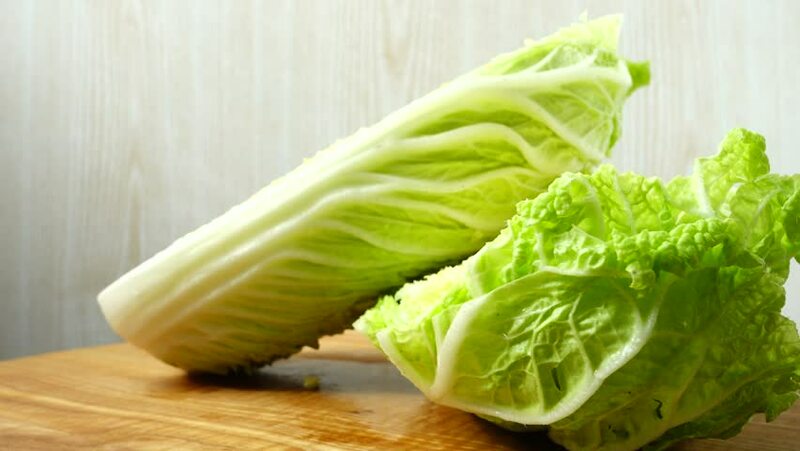 We cut off the fresh cabbage necessary for the salad and begin cutting. hd00:09Close video of romaine lettuce on a wood counter top. hd00:10Fresh chinese cabbages leaves fallind on dark cooking surface in slow motion. Close up.